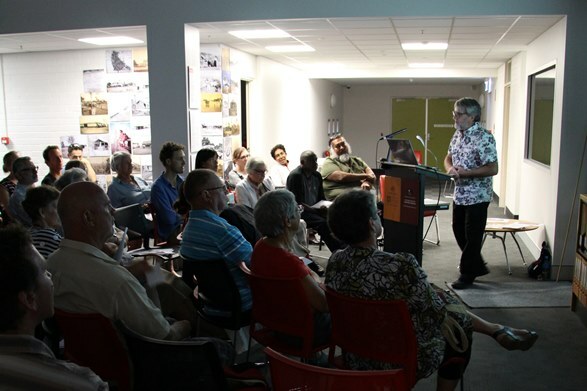 Bill Lennox’s History Grant talk at the NT Archives Centre on 22 June 2016 drew together the three strands of his research into the history of Kapalga near the South Alligator River, Kakadu National Park - the intertwined story of Missionary and cyclist, Andrew Lennox; the history covering a century of leases, hopes and dreams of Fred Smith, Hazel Gaden, Charlie Burns, Tom Cole, speculators, the CSIRO, the National Park; and the story of the Minitja family leaving their country around Kapalga, and returning a century later. Bill Lennox is a writer and researcher living near Wellington New Zealand. In 2009 Bill received a Northern Territory History Grant to research the history of Kapalga. This research followed from a journey that Bill made in 2008, following the steps of his grandfather, Andrew Lennox, who in 1899 had walked to the South Alligator River, from Oodnadatta in SA, and founded the Northern Territory Native Industrial Mission at Kapalga. Bills decision to take off after Andrew shaped the next eight years of his life – He visited the NT every year over that period. He spent many days in archives and libraries in Darwin researching the history of the billabong where the mission was established. He met the grandson of Andrew’s friend Alex Gathercole with whom Andrew had established the mission, and he met academics who had researched aspects of Andrew’s life. Bill interviewed and became friends with Mr Victor Cooper and members of his Minitja family who have title to the country round the Kapalga mission site. The result of Bills research was publication of ‘After Andrew’, a book of biography, history and travel. 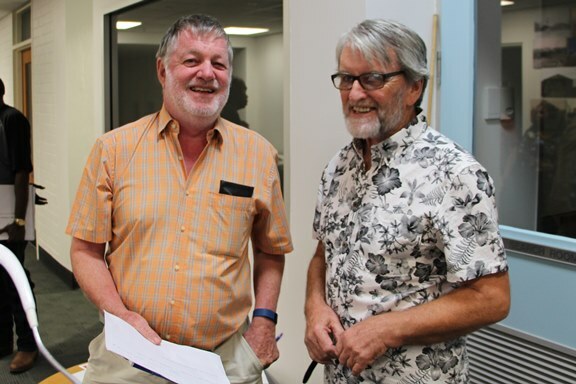 With Victor Cooper, Bill launched ‘After Andrew’ at a writers’ festival in Katherine and undertook a promotional tour of Australia, getting coverage on ABC radio and newspapers.